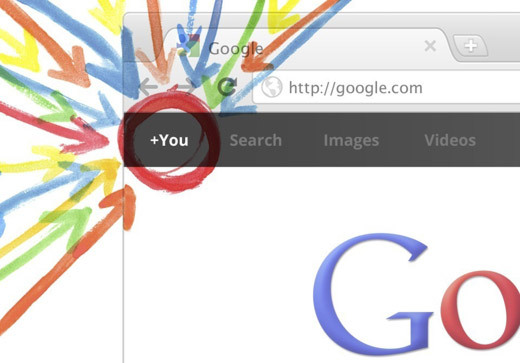 Google+ is set to become the fastest growing online medium in 2012. In this think piece, I will make two predictions based on the trends observed in the past few years. Traditionally, online consumer purchase journeys involved purchase decisions being made on the brand website - more recently, even on the brand’s Social Media page. This model is about to change extensively to purchase decisions being made before consumers even reach brand websites or their social media pages. In 2012, people will actively seek products or services recommended or shared by their network within search results. So if I am in your circles on Google+ and you happen to look for a bow tie on Google, you may see my recommendation ranked on the 1st page of results to inform your decision. Prediction 2: Brands that are early adopters of Google+ will overtake their competitors in search results and therefore in online share of voice. While Facebook is still one of the biggest social networks with over 800 million users, it’s important to remember that people begin their Internet journey on Google. Google now receives 11.2 billion global searches (Source: ComScore) accounting for over 65% of total online searches. Google also serves 98.29% of mobile search queries globally. Given the fact that the number of websites on the Internet has grown in the last 4 years by 156% to over 273 million websites, the search market is becoming more and more saturated. As a consequence of this trend, even the well-established brands will find it difficult to secure prominent presence in search engine results under their desired keywords. So having advantaged access to search traffic in a saturated web is great news for all Google products - especially Google+. The platform will attract an unprecedented user base from search results alone. While the existing features of Google+ are more then sufficient for brands and their customers to engage, there is no doubt that new features that incorporate other Google services will be added. However, timing will make all the difference – early adopters will be rewarded as they overtake their competitors. Take a look at competing brands Coca-Cola and Pepsi for instance. Coca-Cola is far ahead of Pepsi engagement levels on Facebook but Pepsi is now getting a much better traction on Google+ (Coca-Cola> 1,700 | Pepsi> 20,000) as a result of its early adoption and frequent engagement strategy. So the question is – in this rapidly changing digital space, which brands will have an informed strategy and which ones will wake up to an unfamiliar world in 2013?